I would also like to say that I’m impressed by anyone who is still in the challenge. It’s easy to commit to something for a few weeks, but it’s much harder to stay committed for more than a month. If you’ve fallen seriously behind, don’t hesitate to revise your goals, making them realistic again! The challenge was launched in this article, which contains all the information you need if you want to join. In short, the goal is to both improve the way we learn characters and learn to write a lot of characters together in the process. There will be prizes for active participants for each milestone (see below). 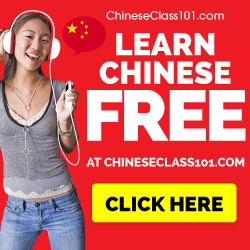 Glossika Chinese products – Glossika offers a range of products for Chinese learners and one participant in this challenge will receive one product of his or her choice for free. You can find more information about both Glossika and their products on the official website. Hanzi WallChart posters – Two sets worth roughly $50 will be distributed randomly among active participants. These posters aren’t only informative, they look cool too! Skritter extension – One week free extension will be awarded to all active participants, If you want your free extension, you need to have been active in the challenge, all you need to do is join this group and you should get your extension (provided that you have been active, of course). If this does not work, please contact me. So, how are the winners determined? Randomly, but weighted for activity in the challenge (basically anything I have a chance to notice, including posts here, social media and so on), with a particular focus on progress updates. I will announce the winners in this article on Sunday, so you have a few days to post your updates. Have you reached your goal for the second milestone? What (if anything) are you going to change? What have you learnt by participating in the challenge? Note that activity in the challenge is completely unrelated to whether or not you have succeeded! Failing to reach your goal, thinking about why you failed and what you should do about it is perfectly normal. 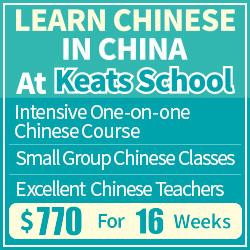 What have I learnt about learning and reviewing Chinese characters? I’d like to highlight two things: the importance of not going on tilt and the necessity of horizontal vocabulary learning. Of these, solution one and three are both good. Solution two is really, really bad. If you keep forgetting a word, you need to deal with it. Suspend it, ban it or whatever it’s called in the program you use. Then, next time you’re in front of a computer with access to dictionaries, sentence resources and so on, look up the character or word properly and actually learn it. If you don’t, the number of problematic cards (called leeches) will increase and slowly drain both energy and time. Read more here: Dealing with tricky vocabulary: Killing leeches. Second, horizontal vocabulary learning is essential. When you suspect that there are several similar characters causing confusion problems, you have to look them up. It can be very hard to spot these problems, but being sensitive to your own review errors should be enough. If you find yourself making the same mistake several times, you probably make this mistake for a reason, perhaps because you’re confusing two characters. The problem is often painfully obvious once you see it, but might cause a lot of trouble before that. For instance, for a long time, I found it really hard to remember the order of the two components on the right of 踏. Sometimes I put the 曰 on top of the 水, sometimes I got it right. This kept happening many, many times and I only figured out why once I realised that I were confusing two characters with (almost) identical meaning and exactly the same pronunciation: 踏 and 蹋 (both are read “tà”). No wonder I felt confused about the placement! Another problem I figured out only recently is with 皺 and 縐. Again, both have the same pronunciation (“zhòu”) and the meanings are at least related. I kept mixing up the placement of the 芻 because of this, but this ceased to be a problem once I looked at both characters side by side. What I want to say with all this is that when learning or reviewing characters, you have to realise that it’s not only a matter of dealing with one single character or word, it’s about integrating that knowledge in your larger web of knowledge about Chinese. I will update this article with the character poster winners on Sunday. In the meantime, you can check the article about handwriting Chinese characters if you haven’t already (published on Monday this week). Stay tuned! Join now to become eligible for prizes for the next milestone! I’m still in the challenge but only just… I should know 300 characters by now, to take me to 1713 but I’m nowhere near. May needs to be a big month, bring it on. You should perhaps consider revising your milestones if you are seriously behind? Feeling that something is impossible to achieve isn’t good for motivation! I’m thirty characters behind at 420 right now! Better get working. Is it possible to still extend my skritter account? I’ve definitely been slipping a bit since the last milestone. I’m about 10-15 characters short of my target (completing the first ten sections of HSK3), and would probably be worse if I hadn’t been ahead of schedule last time round. The main reason is that I haven’t been putting in the same amount of time, and haven’t done anything for days at a time because of other priorities, which is definitely not the way to to go. So for the next month I’ll try and do something most days and also up the amount of time overall. I’ll also start making more use of my ban list and treat those separately as I do notice I’m spending more time getting stuck on particular characters. As I have argued elsewhere, your average output is what matters, so adding something everyday is probably much better than adding a lot some days and then nothing for a while. Good luck for the next milestone! I only reached 1663 characters, with a goal of 1736 (starting from 1606 on April 8). Which means I only added 57 characters instead of the goal of 130. One reason might be that I added way to many characters last time, so that I had to spend a lot of time reviewing (and relearning). Another reason is that I’ve gone back to focus more on learning useful words instead of isolated characters (maybe I should have set total word goals instead, like many others did…). The third (main) reason is that I’ve spent a lot less time Skrittering (and studying Chinese in general) due to other commitments. End of challenge (June 30): +120 (1933 in total). I’m starting to think that perhaps my advice regarding percentages wasn’t all that good. I based the numbers on intuition, which is based on my own reviewing. I have lots of words already and I’m used to constantly reviewing characters, but if people start form a lower base, perhaps I should have skewed the percentages even more towards the beginning of the challenge? Good luck with the next milestone anyway! I think the problem is consistency and study routines. I think a lot of people (including myself) were overexcited in the beginning of the challenge and as a result added to many characters, making it hard to keep up, as well as being discouraging (seeing a x百字 queue every day). I saw now that I had won a Glossika product. Thank you very much! I’m a big fan of their products and have already bought some of the GSM/GSR pdf’s and mp3’s, and watched Mike’s videos on youtube (before the channel was shut down). I hope that your familiarity with their products don’t mean that you like the prize less. If that’s the case, we could change it to a poster set and save the Glossika product for the next milestone! That’s of course okay, just want people to be happy with the prizes. They should contact you shortly about the prize! I surpassed milestone #2, now -according to Skritter – knowing how to write 3172 characters, so I learned 28 additional characters. Although I learned a bit more than “needed”, I’m still ok with the goal I set. Although I officially reached my goal I’m not really contented. According to your advice I will try banning more words instead of trying to deal with such harder characters immediately. Hopefully this will boost my retention rate! Sounds good, keep up the good work! My guess is that it will definitely increase your retention rate. Hello everyone! I was able to meet and exceed the goal, and to keep the challenge interesting I am removing some slack. One thing that I noticed is hampering a bit my motivation is that I have a large backlog of words that I have encountered some time ago and added to a list in Skritter, but now don’t even remember at which occasion I added them. I found that learning words which remind me of a specific context (a text I read, a Chat with someone, a sign I saw) are much easier to remember. For that reason, I am going to add new lists of recent words that I keep collecting with Pleco and skip or delete the old stuff. As last time, I would be glad to receive a Skritter extension! Thank you very much. I will manage the Skritter extensions as soon as I have determined the winners here, so you should have yours in a few hours. Regarding your strategy with old words, that sounds just fine. Deleting things you don’t really know where they come from or what they’re good for is good. I just wrote a post on my blog, so I won’t bother repeating myself except to say once again how much I like the idea of committing to a concrete goal and trying to achieve it. I hadn’t tried this before with something I’ve been learning, and I like it. I feel so much better at this milestone than the first one! I’m glad I stuck in and kept going. I still didn’t make it to my goal for this milestone, but was only 9 short of goal (53 new words instead of 62). I’ve been a bit lax this last week but over all I’ve been working every day on this. It’s exciting to me to see progress even though I’m still moving so slowly. I’ve reworked my goals again and am going to keep moving forward! I am still a little behind – I was hoping to be at 683 new characters but am only at 453 new ones. But I am still working towards the same goal because I can reach the final goal with about 13 new characters per day. I’m currently trying to learn at least 20 each day. This seems like a better pace. 30 or more each day was getting too difficult to remember. I have a question about effectively using skritter. Do you use it mostly for writing or do you also use it for definition,reading,tone? I’ve been getting behind in skritter because I’ve been doing more writing on paper. Having this challenge is very helpful. Without it, I’m sure I would have stopped already. I also think the milestones are very useful. I only use it for writing single characters, which is a bit extreme (using it for words would be cool, too). For people who know what they’re doing, I see little reason to use Skritter for everything. I simply think Anki is so much more versatile that I wouldn’t consider using Skritter for this. Still, for a majority of students, Skritter works just fine as the only review tool, although I think everyone should consider what to learn (i.e., perhaps you don’t need to review ALL possible directions). Ok, so I was lazy at the beginning of the challenge and just used the suggested percentages as milestone markers instead of taking a few seconds to calculate personalized markers, but I went ahead and re-calculated my actual milestones according to my goal of learning 12 new words each and every day. As of April 30th, I have learned 4166 words, so I am 9 words short of my second milestone. Unfortunately, I have not been as consistent as I would have liked. There are a handful of days where I have not studied at all and had to play catch-up in bursts. I will try to be more consistent, but I think perfect consistency is more of an ideal to continue to approach rather than a feasible and sustainable goal. There will always be fluctuations in my efficiency, and life will continue to happen in all of its messiness regardless of any tidy plans I have made. As long as I am moving in the direction of greater consistency, I will be content. Perhaps you could design a schedule with X new words per day five days a week instead of seven days a week? It seems realistic to assume that you won’t be able to learn new words everyday. Still, 9 words short isn’t much, good job! That’s a good idea, and as you said, more realistic. Olle, I have a question for you; if you have time to reply I would greatly appreciate your advice, if not, no worries. I saw below in one of your other replies that you use Skritter solely for writing individual characters and rely on Anki for your other needs. Your method does not seem radical to me, in fact it makes a lot of sense. I had an interesting conversation with a Chinese friend the other day. I asked about the meaning of a character and he said that it didn’t really mean anything. At first I disagreed with him, (if individual characters have no meaning why do we have character dictionaries?) but the more I thought about it, the more it made sense to me. Although some characters have multiple identities as both bound and free morphemes, the majority of characters are bound morphemes and cannot stand alone. Given that most characters can only serve as bound morphemes, as learners we are stuck in a kind of contextual void. Of course we don’t leave it at that, as you wrote in your other articles, we make a character learning toolkit for ourselves, using mnemonics and a solid understanding of character components to build a scaffolding for our memory. Skritter is ideal for learning characters because the physical act of writing not only helps us write better, it functions as another hook for our memory. Words on the other hand are a whole ‘nother animal. Although they are free morphemes, their meanings are still highly fluid and only gain solidity in the context of a sentence. Of course mnemonics are also highly helpful in learning words, but learning words in context, in sentences, creates even more conceptual hooks for our memory and does so in ‘the wild’, teaching us about collocations and nuances that would be difficult to impart without the context provided by those sentences. Skritter is less useful for sentences. I know that none of this is new to you, but it was an epiphany for me, and it helped me to organize my thoughts, so thanks for bearing with me. Given these epiphanies and the inspiration provided by your and Khatzumoto’s blog, I have started using Khatzumoto’s MCD method to learn words ‘in the wild’, in a context-rich environment, and I have decided to do so using Anki and the MCD plugin. I want to eventually stop using Skritter to learn words (inefficient) and only use it for learning characters (efficient and fun). I’m trying to figure out the best way to proceed from here. I am open to the possibility of nuking my Skritter account, but I’m not sure if that’s the best way to go. I read your “Is your flashcard deck too big for your own good?” article, and I am definitely spending too large a portion of my time on SRS study, and not enough time listening, reading, talking, and writing. My question for you is, do you have any suggestions about how to make this transition more smoothly? 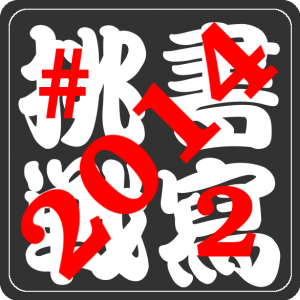 If I do decide to nuke my account, I think I would follow your tack and make use of your 台湾通用字汇 lists (studying the simplified variants) and perhaps also use Skritter solely for studying writing. At milestone 2 I have fallen behind this past week, only by about 30 characters or so. I think catching up shouldn’t be a problem, just a really busy week. Thankfully I can use Anki to catch up. Pretty close though, good luck for the next milestone! At the time of the first milestone I was just over my initial goal and had decided to count new words and short phrases learned as well as individual characters learned. The second milestone goal was 130 characters learned, I’m now at 143 with 99 new words. I’ve learned a lot already about using different resources and study methods and have enjoyed this challenge. Milestone #2 (April 30th): +155 (2567 total) DONE! It is getting more and more difficult to keep a good retention rate as the list grows bigger. But I guess that’s what the challenge is for. Keep up the good work! I’m not sure that a low retention rate is a natural result of a bigger list of words, but perhaps more words might lead to sloppier learning or more character confusion, thus decreasing the retention rate? You are right about the character confusion, especially for the tones (for excample 蹦(beng4) and 崩(beng1). Now I have to create extra mnemonic just only to help me remembering that. Also the characters in the list I am learning now are less freqently used thus less seen in my real life context (I’m living in China). So I slightly changed my tactic by not only stricting to the pre-made characters list (3000 most used characters) but modifying it to my own use. Basically I have been collecting the characters from the food menu, sign, or any reading materials of my professional(architecture)that I haven’t learned and putting in the list. By the way, I have recieved the posters. They look great on the wall and definitely will be useful for my study. Thanks Olle and people for Hanzi WallChart! I’ve reached the second milestone! 200 characters. Great, keep it up for the next milestone! Ok, thanks for your update, good luck for the next milestone! 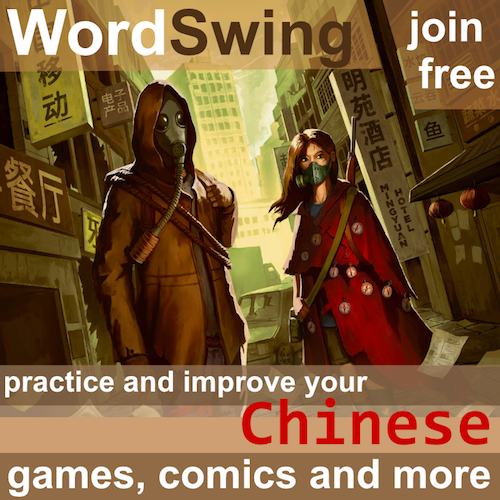 – http://www.memrise.com/course/278048/chinese-vocabulary-7/ (course about useful words, for now I added words extracted from Youku, so that it is possible to use the website after studying the words..I’ll add more content as I find useful words). 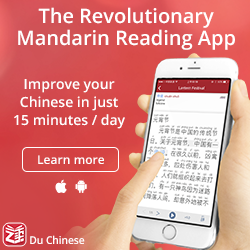 – http://www.memrise.com/course/285717/chinesepod-newbie-dialogs/ (course based on the words included in Chinesepod newbie lessons. Each level is about a single lesson, so you can study and review what you prefer, rather than studying randomly). Seems like you are on track as well, keep up the good work! Well, I obviously set a goal that was too difficult, but I’m still making progress, and that is the important thing. I am now at 946 characters learned, which is about where I wanted to be for the last milestone. My goal for this milestone was 1280 – I am going to think about revising my milestones, but I feel like even if I haven’t been able to reach my milestones, I have still been learning a lot of characters. Did you revise your milestones last time? In any case, you’re perfectly right that progress is the main goal. The Character Challenge is getting harder and harder, I thought I could study 10 words a day but it turned out to be a too much for me. The bad news is that I should be around 500 words by now, and I’m actually at 350. Good news is… even if I’m not going as fast as I thought I could, I’m still studying Chinese on a regular basis and learning a lot of words. That depends on how many words per day you did before the challenge. If the answer is far from 10, you will definitely have a problem because words pile up. Even if you have a 100% retention rate, reviews still pile up. With a significantly lower retention rate, they pile up even more quickly. So, the time you need to spend increases quite a bit as the challenge continues. I should have highlighted this more clearly in the first post, sorry! I didn’t really study too much before the challenge, just flash cards, which I find easier to memorize. I have been using Skritter lately too, in the first milestone I said I didn’t find it useful but I got a mouse and it has changed my perspective. I actually think it’s pretty useful now, it’s helping me not only with the writting but with the tones, which is something I always have problems with. Do you think I could get an extension? Mine expired time ago and I have just been reviewing the words that were saved but I’d like to add some new ones. Unfortunately, since I find this deck to be more annoying, I usually end up completing my other 2 decks’ reps for the day, and hugely procrastinating this Sensible Character Learning deck. Most of the time, this ends up in the day ending with me never doing my reps. So, really, I’m a little surprised I even made it as high as I did for this second milestone. That being said, I identified my main problems that caused a lot of this procrastination about one week before the second milestone, so I’d like to share that here. The end of the semester is here for me, which means that my time is swamped with all the usual semester wrap-up stuff that happens, which has greatly diminished the amount of time every day that I can spend on Chinese learning for fun. However, in light of that, I discovered just how much time I was actually spending on it each day, and I found out it was WAY too much time. Hours upon hours. Yes, I enjoyed it, but it’s not exactly practical and logical to do so every day. I also found out by looking back at how I used my time that even though I was spending this much time on it, the time was being used VERY inefficiently. So I decided to make a few tweaks, which effectively shifted a lot of focus to this Sensible deck (like I said, I know I get more of a benefit from this deck than the others). For example, I chose to stop adding cards to both of my other two decks, therefore making it so that any and all new cards would only be added to the Sensible deck. Prior to my realization of my time usage, I was adding new cards EVERY DAY to both my Sensible deck and my Reading deck, and THEN I’d have to do all the reps! This may not sound like such a huge timesaver, but considering my haphazard approach to adding cards to my decks, it was HUGE. Along this same vein, I stopped blindly waiting until I came across something that would make a good card before adding a new card and instead have begun to focus on finding ways to add cards that contain characters that I know I need to learn (why I didn’t do this from the start is beyond me, though it’s probably because my known character total when I started making a more focused effort to learn them back in January was only around 1000, making it easier to just pick something to read and make cards as I go. Now, though, this is a waste of time). A bit long-winded up there, but it makes sense to me hahaha. In light of all that, though, I do feel pretty confident about the remainder of the challenge, mainly because I’ve identified key stumbling blocks to my progress, and I know what to look for to optimize my time now. Furthermore, even with all the problems and inefficiencies and procrastination that I faced for this second milestone, I managed to almost reach my goal. Therefore, I should definitely be able to reach and hopefully surpass my goal for the third milestone. I’m definitely excited to see what happens! Figuring out how you learn is the main purpose of the challenge and I think that what you say makes sense, so don’t worry. 🙂 Hopefully, this will help you reach the next milestone more easily! So, I’m a bit disappointed that I’ve fallen even further behind this milestone, when I had hoped to make up the missing words from the first milestone. Ah well, such is life! I’ve had a hectic April with several unplanned family surprises that really took up my time. In any event, as others have said, the most important thing is that I am learning characters and making progress. Without the challenge I’d likely be nowhere near this total, anyhow it’s all good. I’m not going to adjust my May 30 goal, as I’m still committed to making up for lost time, and I should have the time in May to make it happen. As long as you don’t feel despair, staying with your original goal is fine! Good luck! I am a little behind my milestone according to Skritter but feel like I am learning faster than ever. I have decided to be more proactive with creating mnemonics before I add the character. I think it is cutting my learning time. Only 80 more to add from hsk 4! Feels good! PS Olle you are too efficient. I was on the list at 66 and added me again at 96! I’m late to check in for the second mile stone because I was abroad. My goal for the second mile stone was 50% of the HSK 3 vocabulary on Skritter. I actually did 45.8% which means I’ll have to pick up speed towards the third mile stone, but I really feel happy with my achievements, also because I average around a retention of 87% with an upwards trend.